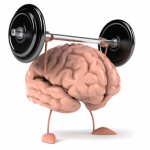 What is Athletic Performance Enhancement? Are you never able to keep up with your husband on the moguls? Do you want to be in the top ten 50-year-olds in the Bolder Boulder this year? Or do you just want to get back to your sport without another injury? Athletic Performance Enhancement can help you. Optimal athletic performance requires strength, endurance, flexibility, balance, agility, and coordination. The key to improving athletic performance is identifying the deficits in any of these areas and correcting them. The detective work begins with a thorough physical therapy evaluation. 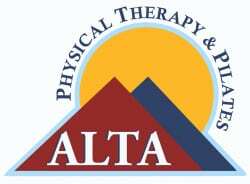 ALTA physical therapists then use a combination of treatment approaches to eliminate problems that limit your peak performance. How Can ALTA Help You? 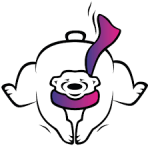 Perhaps an athlete is a skier, performing pre-season conditioning to ready herself for the slopes. Through weight training she has strengthened her legs, but she has neglected the core muscles of the abdomen and lower back, and she has balance deficits. When ski season arrives, she feels stronger, but she still has problems in the moguls. Without addressing balance and core strength, the moguls will always be a challenge. Or, let’s consider the runner logging 35 miles per week to prepare for the Bolder Boulder. His endurance is improving, but because his feet overpronate (excessive collapsing of the arches), he loses power with each stride. The overpronation is also responsible for the pain he feels in his low back and right knee after a long run. These athletes have something in common. For them, at least one piece of the puzzle is missing, preventing them from reaching their performance goals – on the slopes, or at the track. To discover what piece of the puzzle is missing for you, consult the professional team at ALTA. To get faster, stronger, and better at your sport, our staff has the expertise and education to help take you to the next level. We can make the difference between you getting across the finish line versus being at the head of the pack.